In our white paper Winning Hawaii’s Talent War, we discuss how millennials represent the largest generation in today’s workforce. 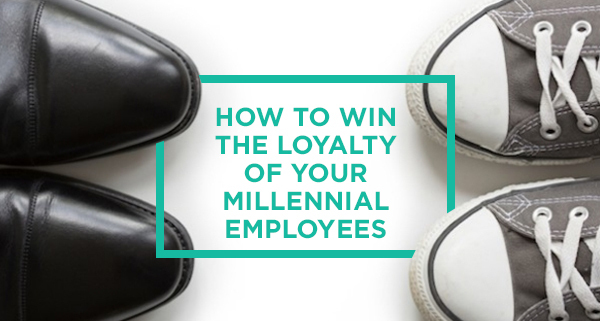 A survey by Deloitte with a sample size of over 7,000 Millennials, reports that this group of workers has little loyalty to their current employers, with 44% of them wanting to leave their organization in the next two years. This should be a wake up call for Hawaii employers–especially in light of our state’s low unemployment rate, coupled with the difficulty of finding qualified workers. Given the hiring climate, it’s a great time to develop strategies for earning the loyalty of your millennial workers in order to come out on top in Hawaii’s war for talent. How can employers go about doing that? Start by understanding the needs of your employees and putting those first. Providing millennials with a sense of purpose beyond financial success is an important motivator when it comes to loyalty. This generation is largely driven by trust and integrity and wants to work for a company that demonstrates these attributes. A good starting point is to focus on developing a workplace culture that emphasizes the high-quality customer/client care that your company provides or the benefits that your products/services have in the community. It’s important to also show your employees how their roles in the company support this purpose. Focus on finding ways to support the career and life ambition needs of your millennials as this is another high priority for these professionals. According to the Deloitte survey, millennials are twice as likely to stay with their organization for five years or more if they have a mentor. Developing a mentorship program will address some of these needs and also encourages and fosters stronger working relationships amongst your staff. After salary and financial benefits, work-life balance and flexibility is the leading motivator for millennials in selecting a job and staying with a company, even before career development opportunities. Flexibility (in hours or working location) is also a huge motivator. Your company must realize that if faced with two positions that offer the same salary, a millennial is more likely to choose and stay with the one that promotes work-life balance and offers flexibility in their schedules. Finding ways to meet this need will put your company ahead of the competition when it comes to recruiting and retaining employees. Your company is only as good as your employees–in fact, they are your greatest asset. As this new generation takes over the modern-day workplace, success will largely depend on how well your company can adapt to the needs of this generation. Your ability to recruit and retain the loyalty of millennials is key to a successful outcome in Hawaii’s talent war. For a strategic guide on hiring and keeping the best employees, download our free white paper Winning Hawaii’s Talent War.